Now that I’ve shown you some great Halloween party decorations, it’s time to focus on the other central aspect of any successful Halloween party – the food! We have all picked up Halloween recipe books hoping to recreate that amazing looking dish only to be extremely disappointed in the outcome. Well, be disappointed no more! Here are five easy recipes that will look great and you don’t have to be a professional to make it. 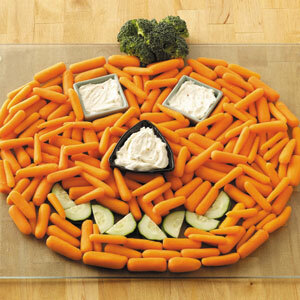 Jack-O’-Lantern Veggie Dip. Just get a lot of baby carrots, some cucumber and broccoli, and a round serving dish. Arrange into a happy jack-o’-lantern face and you’re done! Of course you now have a ton of carrots. Put the extra broccoli and cucumber in a bowl nearby. 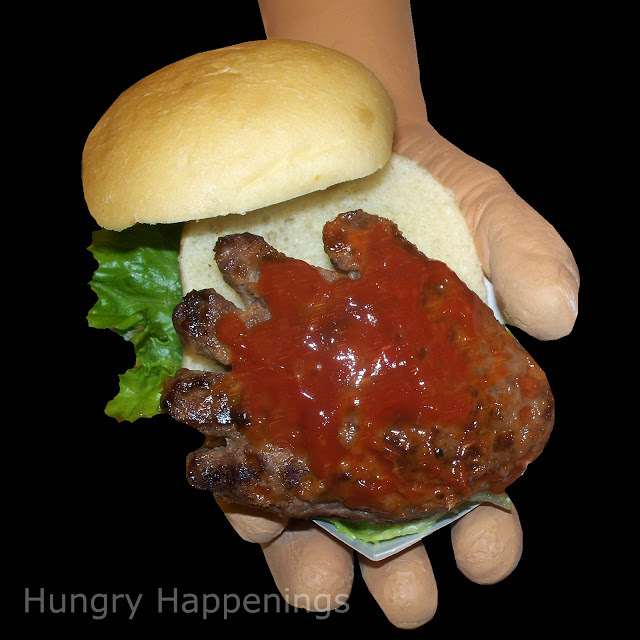 Handburger! This one is extremely easy and just gross enough that your guests and your kids will still eat it! Just form your ground beef into big hand shapes (because they shrink when grilled) and the rest is like a traditional hamburger. 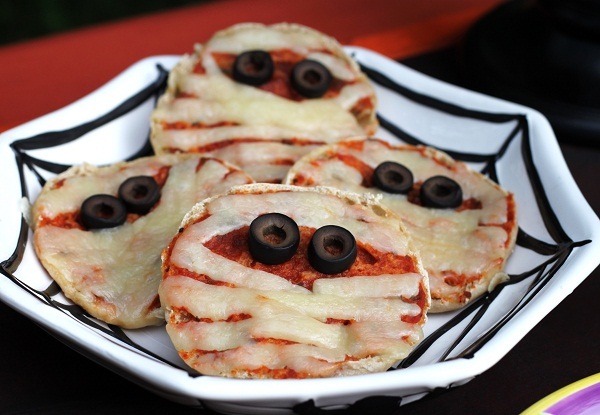 Mummy Pizza. You can make these mini pizzas for bute sizes snacks, or make a larger version with a Boboli crust, pizza sauce, mozzarella and lots of olives to make the eyes. 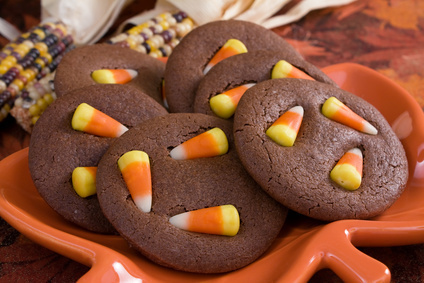 Candy Corn Chocolate Cookies. Whip up some chocolate cookies (your preference of home made or slice n’ bake). Once they are fresh out of the oven, press in the candy corn. 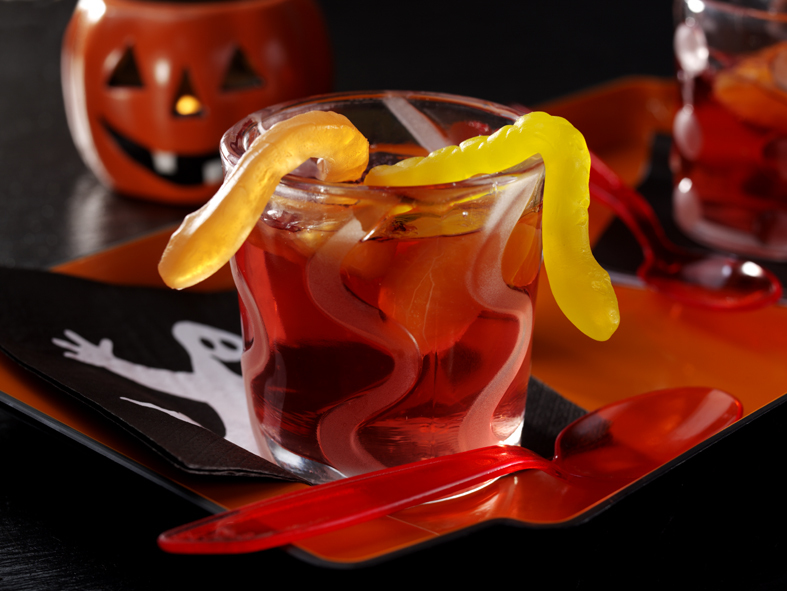 Halloween Jell-O. Simply add some gummy worms to your Jell-O and serve in clear cups. Easy and effective!